or create a new app. Build practical, production-ready Node.js apps in a matter of weeks, not months. Since Sails translates incoming socket messages for you, they're automatically compatible with every route in your Sails app. 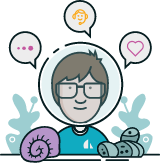 Sails offers commercial support to accelerate development and ensure best practices in your code. Now go build your app.